Gay Presidential hopeful Pete Buttigieg has jumped to third place in polls in the key primary state of Iowa. An Emerson poll released on Sunday (March 24) shows Buttigieg polling at 11 percent in the crucial state of Iowa, behind only former Vice President Joe Biden on 25 percent and Senator Bernie Sanders on 24 percent. Iowa is traditionally the first state to vote during the Presidential primary season, with the Iowa caucuses set to take place in February 2020. 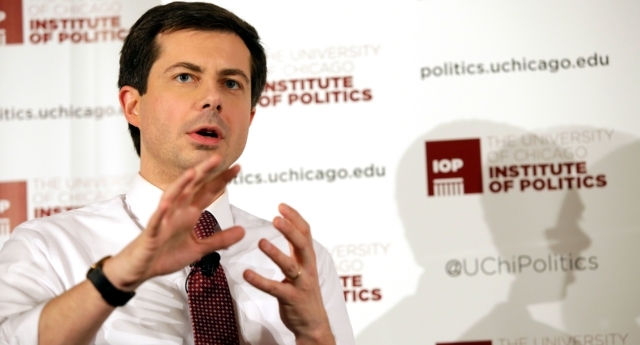 Buttigieg, who would become the first openly gay man to hold the office of US President if elected, started as a long-shot candidate in the Democratic primaries, but the Indiana mayor has built support in recent weeks. The Emerson poll places Buttigieg ahead of many of the more established candidates in the race, with Senators Kamala Harris, Elizabeth Warren and Cory Booker on 10 percent, 9 percent and 6 percent respectively. In January, a poll from the same company had Buttigieg polling at 0 percent in the state. A separate national Emerson poll on March 19 shows Buttigieg polling 3 percent US-wide, in fifth place behind Sanders, Biden, Harris, Warren and Beto O’Rourke. Other polling, such as a recent survey from Morning Consult, has the candidate on one percent nationally. However, Buttigieg recently passed the required threshold to secure a spot in the Democratic Presidential debates, giving him a crucial platform for his campaign. 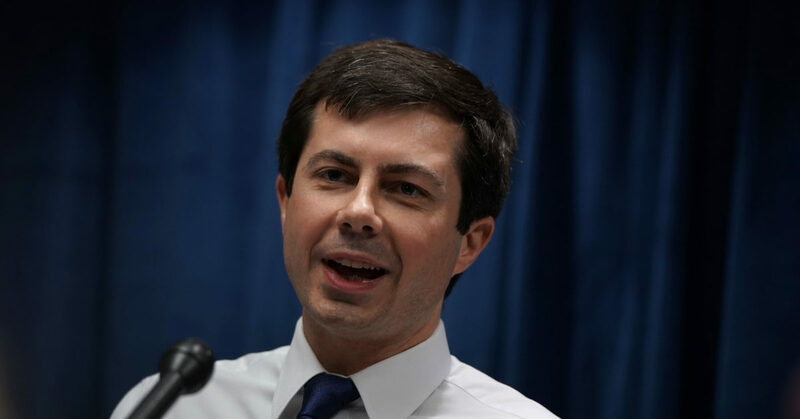 The Presidential hopeful has served as the mayor of South Bend in Indiana since 2012, repeatedly clashing with the state’s then-governor Mike Pence over LGBT+ issues. He added: “Putting something this personal on the pages of a newspaper does not come easy. We Midwesterners are instinctively private to begin with, and I’m not used to viewing this as anyone else’s business. “But it’s clear to me that at a moment like this, being more open about it could do some good. For a local student struggling with her sexuality, it might be helpful for an openly gay mayor to send the message that her community will always have a place for her.